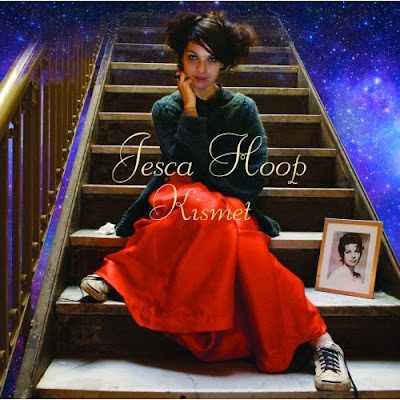 Jesca Hoop is a singer/songwriter who started her musical career being a nanny for Tom Waits' children; Waits' reaction to her music, he said, "was like going swimming in a lake at night". I first heard Hoop on the 'KCRW: Morning Becomes Eclectic' broadcast in 2004 (Waits apparently gave KCRW her demo), falling in lurve instantly with her beautifully lush voice. 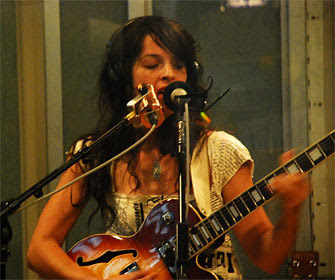 Later in 2007, she released her debut album, 'Kismet' -- which featured many of the songs on the KCRW show, as well as new tracks. I really enjoy both, but the KCRW show is my favorite, as I feel some of the intimacy of the songs is lost in the production of 'Kismet', or shown in a different light. Both are great though, def give these a listen.